BE SURE TO TUNE IN TO THE WWB. MISS A SHOW AND YOU MAY MISS ME VISITING WITH ARTIST LIKE , BLAKE WILLIAMS OF 'WILLIAM & CLARK EXPO BAND,MARTY RABON OF FULL CIRCLE,CHRIS STUART OR ALECIA NUGENT, LARRY CORDLE. BE SURE TO NOT MISS ANY OF THE DAY ON THE WORLDWIDEBLUEGASS.COM BROADCASTS. WE COVER THE WORLD WITH BLUEGRASS MUSIC. TUNE IN OCT 23 FOR JOHN ABRAMS OFTHE ABRAMS BROTHERS BAND AND DALE ANN BRADLEY ON OCT 25TH. AND IT IS ALL FREE. THE WWB IS FREE, NO PAYING FOR PLAYERS. FREE CHAT ROOM WITH NATIONAL BANDS AND ARTIST STOPING IN TO TALK TO THE DJ'S OR JUST PROMOTE THEIR UP COMING CD RELEASE! YOU NEVER KNOW WHO WILL DROP IN! LIVE DJ'S AND MORE SIGNING ON EVERYDAY. AND MORE MUSIC THEN YOU CAN SWING A STICK AT! CHECK MY SCHEDULE Monday, Tues, Thurs and don't forget my Sunday morning show. I was as surprised as the chat room visitors Monday morning the JAN 6th when Carrie Hassler stopped in to visit and see how the listeners where enjoying her new CD. Crow & Wolf Music Folk music--the original voice of the people. Buy CDs here, sell your CDs with us! FOR YOU ARTIST AND BANDS, CHECK THEM OUT FOR PRODUCT MARKETING. HERES BIG NEW PROGRAMING NEWS FOR BLUEGRASS AND COUNTRY UNPLUGGED LISTENERS!!! I AM NOW ON THE THE INTERNET LIVE MONDAY MORNINGS 10AM TO NOON, THEN AGAIN ON TUESDAY NIGHTS FROM 6PM TO 8PM,AND WRAP UP THE WEEK ON THURSDAY FROM 4PM TO 6PM THESE ARE EASTERN TIME. IN CENTRAL AREAS ALL THOSE TIMES OF COURSE ARE AN HOUR EARLIER, THEN CHECK WHAT TIME IT WOULD BE IN YOUR AREA ON THE WORLD CLOCK FOR YOUR TIME ZONE. ON TUESDAY NIGHT IM FOLLOWED BY ONE OF CHARLIE HALL A DJ HIMSELF IN KENTUCKY. THE REST OF THE DAY THE SITE HAS LIVE DJ'S PLUS BLUEGRAS 24/7. SO CLICK THIS AREA AND GO TO THE BEST BLUEGRASS ON THE INTERNET World Wide Bluegrass! Tell your Ma, tell your Pa and all your friends in Arkansas. P CHECK NEWS PAGE AND FIND BIO'S AND AIR TIME'S ON ALL OUR SUPER DJ'S AND OTHER IMPORTANT STUFF! SEE YOU IN THE CHATROOM, YES WE CAN CHAT AND LISTEN TO THE MUSIC TOO. You can slow speed dial up or the High Speed Broadband. All the players are on the page,and it is free. We do of course welcome donations. 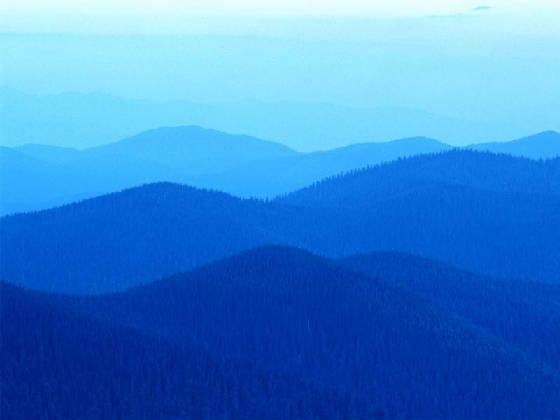 Welcome to Country Unplugged Bluegrass and Old Time Country Music Fan Site. Butch Baldassari, a long-time friend of the mandolin community is currently undergoing chemotherapy and related treatment best explained by an email he recently sent to many of his friends (below). In addition to the stress of such an invasive treatment, professional musicians don't benefit from paid leaves of absence from their jobs. Many in the mandolin community have expressed an interest in providing their financial and emotional support of Butch throughout his treatment, and the purpose of this page is to help us achieve that goal. The Mandolin Cafe and our community sends their best wishes to Butch for a successful treatment and speedy recovery. Some of you may or may have not heard that I have been having some health problems recently. It started in mid-March with my left hand losing about 20% of its facility. I have not cancelled any performances yet, but I really can't do any recording or work that focuses heavily on myself as soloist. I am still playing concerts with Nashville Mandolin Ensemble. After an MRI and a brain biopsy on May 22, I was diagnosed with a low level 3 anaplastic astrocytoma deep in the right side of my brain. Because it is inoperable, I am following a regime of radiation and chemo beginning this Wednesday, June 6 for 6 weeks. I am going to be eating only a macrobiotic diet and following their lifestyle rules. I will also be receiving acupuncture, energy balancing treatments and massage therapy. "IMPORTANT PROGRAMING NOTE FOR COUNTRY UNPLUGGED RADIO SHOW"
IF YOU LISTEN TO CENTERVILLE, IA RADIO STATION KGMO CONTACT THEM AND LET THEM KNOW YOU WOULD LIKE TO HEAR COUNTRY UNPLUGGED ON THEIR STATION. OR SEE IF I AM ABLE TO FIND A STATION SOME WHERE DOWN ALONG THE BORDER OR IN MISSOURI TO AIR IT. 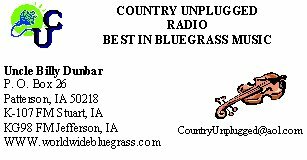 IF YOU KNOW A STATION WHO WOULD LIKE A BLUEGRASS PROGRAM HAVE THEM CONTACT ME VIA e-mail thru this webpage or Country Unplugged P.O.Box 26, Patterson, Ia 50218. It's free to them and they can ever make some money by selling ads inside the show. GO TO OUR NEW 24/7 Broadcast available around the world, or go to www.worldwidebluegrass.com. Be sure and tune in SUNDAY MORNING TO KKRF AT 107.9 OR KGRA AT 98.1 FROM 8AM TO 10AM FOR TWO HOURS OF THE BEST BLUEGRASS MUSIC AROUND if your in the central Iowa area. Alecia Nugent and her Band played to a large audiance of bluegrass and country fans on Oct 19th at the Horseshoe Casino in Council Bluffs, Ia. She entertained the crowd with great uptempo old and new bluegrass tunes, with couples getting up to dance and then brought them back with slowing dancing to outstand slow tunes. Who says you can't dance to bluegrass music? She left the stage of the Whiskey Lounge with lot's of apllause. I will be airing a interview from that night on my show on the WWB at approx 6:20pm eastern time. The eighteenth annual International Bluegrass Music Awards paid tribute to both legends and new talent within the genre as the diversity within bluegrass was celebrated in ceremonies at the Grand Ole Opry House in Nashville. The Grascals further solidified their credentials with their second consecutive Entertainer of the Year award. Their honors are all the more remarkable since they leaped onto the national stage with the Emerging Artist trophy in 2005. In an rare twist for any awards show, a tie in voting by the professional members of IBMA in the Album of the Year category made sure that a Hall of Fame member J.D. Crowe and his band The New South were recognized for their latest release (Lefty’s Old Guitar, Rounder Records) and was feted alongside wunderkinds The Infamous Stringdusters (Fork In The Road, Sugar Hill Records). The Infamous Stringdusters also took home the Song of the Year (“Fork In The Road”; Chris Jones & John Pennell, songwriters) and the much sought Emerging Artist of the Year honors. Tying the Stringdusters for the largest set of new crystal (3 trophies) was legendary banjo master Tony Trischka. His album Double Banjo Bluegrass Spectacular (Rounder Records) features Earl Scruggs, Kenny Ingram, Tom Adams, Bela Fleck, Noam Pikelny, Alison Brown, Scott Vestal, Steve Martin and Bill Emerson and was lauded for both Instrumental Album and Recorded Event of the Year. Tony also took home his first Banjo Player of the Year award. The name “Bradley” proved good luck for first time recipients as longtime favorite Dale Ann Bradley was named Female Vocalist of the Year and new favorite Bradley Walker was handed his first Male Vocalist of the Year trophy. Michael Cleveland and Flamekeeper featuring Audie Blaylock added to the list of firsts as this year’s Instrumental Group of the Year and Cleveland also took home his fifth Fiddle Player of the Year award. 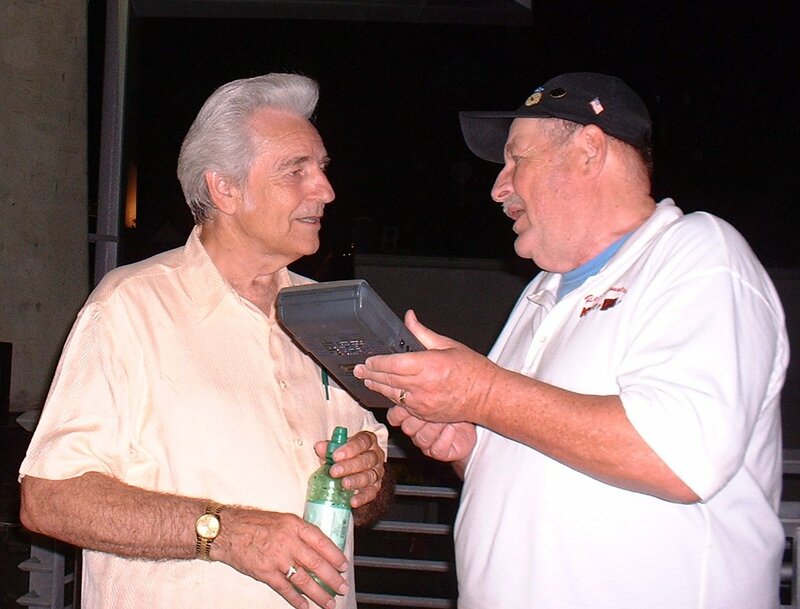 Doyle Lawson & Quicksilver took home their seventh Vocal Group award and sixth for Gospel Recorded Performance of the Year (“He Lives In Me,” Horizon Music). Sam Bush hosted the evening and was also honored as Mandolin Player of the Year (his fourth, but first since 1993) and the members of IBMA continued to show their much deserved respect for Tony Rice (Guitar Player of the Year, his sixth) and Missy Raines (Bass Player of the Year, her seventh). Rob Ickes became the all-time most awarded musician among all IBMA Instrumental Performer categories with his ninth Dobro Player of the Year award. 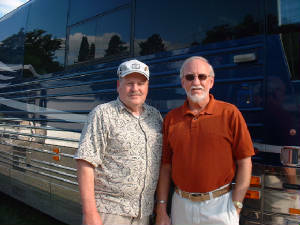 The show was broadcast live on XM Satellite Radio (“Bluegrass Junction” Channel 14) and is being syndicated to more than 300 U.S. markets and 14 foreign networks, thanks to the sponsorship of Martha White Foods, MerleFest, GAC-TV, GHS Strings, Bluegrass Unlimited magazine and Deering Banjos. The awards are voted on by the professional membership of the International Bluegrass Music Association (IBMA), which serves as the trade association for the bluegrass music industry. The IBMA Award Show is the centerpiece of the World of Bluegrass week, which also includes the industry’s Business Conference and Bluegrass Fan Fest, slated for October 1 - 7, in Nashville, Tenn. This just in! The blugerass nominations for best bluegrass album! Congratulations to the Warrior River Boys on their Grammy nomination. What a well deserved honor! I’m pulling for you guys to take it home. All the best to you. Congrats!! To the Warrior River Boys on a Grammy nomination. We are all pulling for you. This band has given Bluegrass a whole new name. They have came a long way and have worked very hard to be where they’re at today. Bring home that grammy guys!! Best wishes to you all. Warrior River Boys you all deserve to win. You are awesome. Good Luck!!! Warrior River Boys. Bring home that Grammy you deserve it!!! Best Wishes and God Bless You All!!! Todd Taylor great to see his name on this list again this year, I have every cd he has done, its a big honor to be named on thist list, congratulations to Todd and all the others. “3-5-N”…with fast fingers and unique playing style..Todd gives BlueGrass generations of fans worldwide. Grammy nominated 3 years in a row, Todd we all expect just as much generated excitement from your next release!! Congratts, hand a great time working on this CD with you. Congratts! Had a great time working on this CD with you. Keep up the good work. Take care. 3-FIVE-N is HOT HOT HOT and Taylor is one of the HOTTEST BANJO PICKERS! Bar none! Few individuals of that calibre of talent - are downhome friendly, helpful and SWEET! Todd Taylor is the role model for Great Individuals! ! Todd is a credit to the musical heritage of South Carolina, a true inspiration to all aspiring banjo pickers. And his 3-Five-N album is in the groove, and gives the banjo sound listener and lover like myself goose bumps! Pick-On, Pick-On Mr. Taylor. * ... AND BE SURE TO BRING AN APPLE FOR THE TEACHER: Eddie has -at last- begun giving private, completely individualized, personal instruction in banjo and guitar playing, as well as banjo set-ups and minor repair. There's an old saying: ''When the student is ready, the teacher will appear'; but Eddie is turning that one on its head -- this time, the teacher decided he's ready, after years of inquiries from would-be students. But space is very limited, so call 615-443-7135 for more information on one-hour, half-hour, or spend-a-day-with-Eddie sessions. Intermediate-and-up playing ability is recommended, professional or amateur. Specializing in Adcock Style, naturally. Are you playing like you want to? What do you want to learn? Does your banjo sound like you want it to? Now you can go to a guy who's got more than a half-century of experience! By the way, there are plenty of good motels and eateries in Lebanon, not to mention some excellent antiquing! RALEIGH, NC (11/1/06) Lorraine Jordan and Carolina Road announced today that Jerry Butler has joined Carolina Road as lead singer and guitar player. 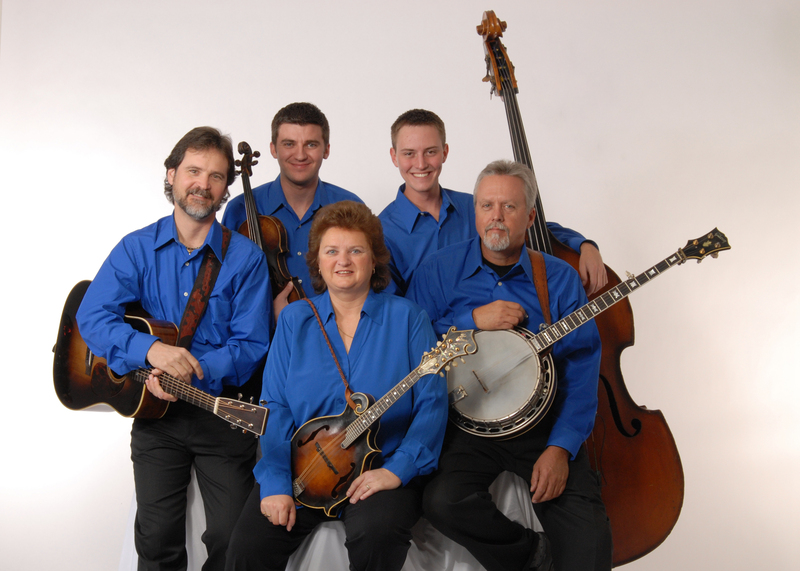 All current band members remain the same including, Lorraine Jordan (mandolin and lead/tenor vocals); David Guthrie (guitar and tenor vocals); Ben Greene (banjo and baritone vocals); Josh Goforth (fiddle); and Todd Meade (bass and bass vocals). Jordan said, "We are very proud to have Jerry join us and we’ll always stay true to the traditional sound our fans have become accustomed to." Lorraine Jordan and Carolina Road are currently enjoying the success of their new album, A Stop in South Port Towne on Blue Circle Records. 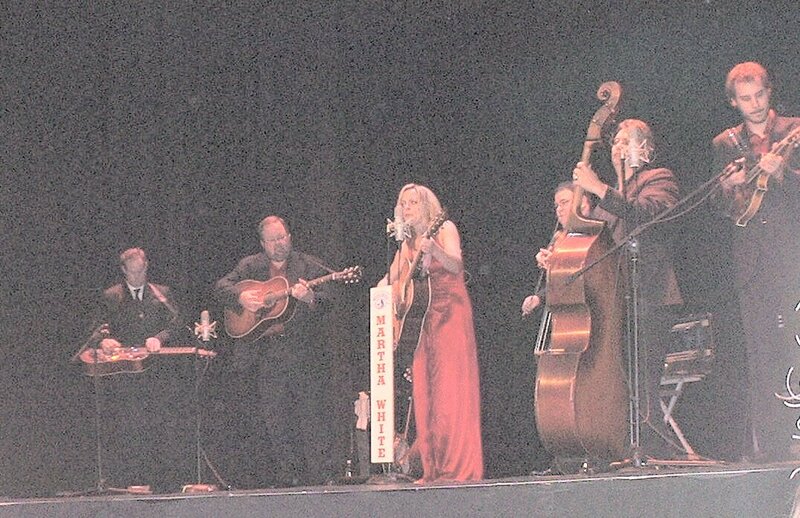 The current single from that album, Tupelo County Jail is #28 on the Bluegrass Unlimited National Bluegrass Survey Top 30 Singles for November 2006. Jerry Butler began playing music in the Knoxville, Tennessee area when he was 12 years old in a band called the Knoxville Newgrass Boys that also included classmate Phil Leadbetter. He has also performed with Lynwood Lunsford and the Misty Valley Boys, The Joe Isaacs Band and the Blue Valley Boys. Most recently he performed lead vocals and guitar with Pine Mountain Railroad. Butler is currently featured on lead vocals on their single Beyond the Rain, currently #9 on the Bluegrass Unlimited National Bluegrass Survey. Butler is proud to endorse GHS Strings, Mike Long Guitars, Custom Inlay and Paige Capos. He currently resides in Knoxville, Tennessee with his wife and three daughters. Great tunes, wonderful harmony's and a bit of joking around made Doyle Lawson and Quicksilver a quick favorite at the Iowa State Fair during their four show appearance on the Wellmart, Bluegrass Stage. Bluegrass, Bluegrass Gospel and even a bit of some classic Country with Floyd Crammers Last Date and a little Jerry Lee Lewis too. At the show I was at the crowd gave them a standing ovation at the closing. Hopefully the Fair board with get the word and bring more Bluegrass Bands to future show. Until recently Iowa has been a wasteland of no National Bluegrass Bands. Now in just the last two years, we have had a couple of the best. Last year it was Rhonda Vicente and the Rage. He has one of the Best Road Bands to Back him up, and he lets them shine of their own too. Help me build listener ship on my programs at the World Wide Bluegrass. Come on line and join me in the chat room. Really looking to see folks from Iowa,Nebraska,Missouri, Minnisota, and Wisconsin. Click here and come on in! 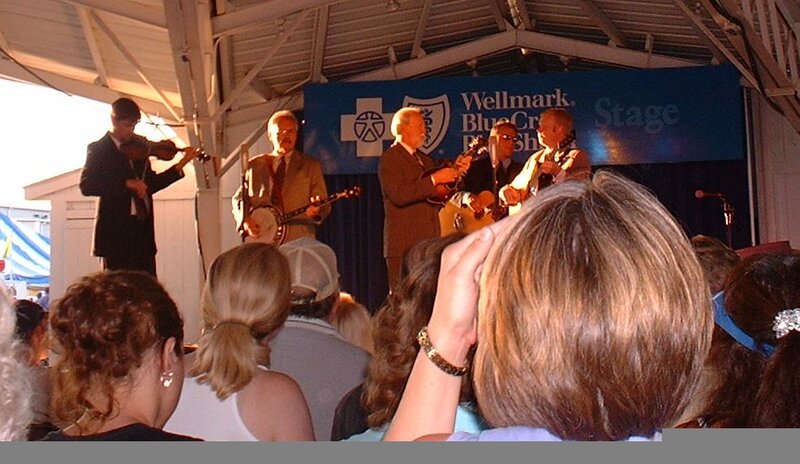 Del McCoury and the Boys entertained the Bluegrass Fans at the 2007 Iowa State Fair. It was enjoyed by all and the Band did a fine job even in the sweltering heat. The National Traditional Bluegrass and Old Time Country Music Festival, Previous at Missouri Valley Fairground Harrison County is being moved to La Mars, Iowa for the 2008 event. Watch for June's Album "Wildwood Flower" on sale now. Click here to go to Horton Show Page! Your last anniversary gift was His and Hers matching lawn chairs with your last name across the back with a felt tip marker. You know that Gibson and Martin have no relationship to Mel and Dean. Your Geo Metro has been modified to hold an Upright Bass. When you see a guy with a nail apron on, you start digging for gate money. When you see a couple of motorhomes on the highway, your car keeps wanting to follow them to a festival. You know that "pick one" has nothing to do with your nose. A night out with the boys means.... an all night pickin' in the back room of the barber shop. Your instrument cost more than you wife's wedding ring. You change the strings on your instrument more often than you change your socks. It's 3:00am and your wife is upset, but you just hafta' pick one more, and one more, and one more. Bluegrass Jams starting at Cup A Joe's in Indianola, will be every Tuesday until June when we break for the Summer with Bluegrass Tuesday's on the courthouse lawn. This will be the first jam so I'm a little 'anxious' but it's all for fun, all skill levels welcome, everybody started somewhere, especially me, it seems like I'm starting over every day. We will have four microphones set up, two for who ever is leading the song, I've noticed that the vocalist/leader gets lost at larger jams, a couple to the side for harmony or people who want to play a fill lick to step up. The room is all set up, all the time, so it's a good place to be able to come and go. NOTE: Now that the shows on the Indianola Court House Square is ended he has started having shows at the Indianola High School Theater once a month. You can contact hime for dates at the fore mentioned Phone number or send E-mail to tightmarket@crosspaths.net. I'm writing today to let you know about an IBMA-hosted training for artists scheduled in your area November 4. I hope to see some of you there. Please feel free to forward this info to artists who might be interested in coming also. Thanks! In an effort to reach more young people with bluegrass music IBMA, in conjunction with the Minnesota Bluegrass & Old Time Music Association (MBOTMA), will host a Bluegrass in the Schools Training for Artists at the new Harvest Jamboree scheduled for Nov. 3-4, 2006 in Minneapolis. The goal for these new regional trainings, hosted at major bluegrass festivals or association events across the country, is to give local musicians and bands (along with interested event producers and association leaders) some tools to develop effective educational bluegrass programs for students. The workshop will be held on Saturday, Nov. 4, from 10 a.m. - 2 p.m. in Workshop Room A at the Marriott Minneapolis West in Minneapolis, Minn. during the Harvest Jamboree. Attendees will receive a Bluegrass in the Schools Certificate of Participation for the training session. The Bluegrass in the Schools session will be part of a comprehensive workshop series designed by MBOTMA, intended specifically for bands that want to develop their performance and business skills. Entire bands or individual musicians representing local or touring bands are welcome and encouraged to attend any of these workshops. There will be no additional fee for the workshops other than the purchase of a festival ticket for the day they take place. Nancy Cardwell from IBMA will be joined by Phil Nusbaum, Ph.D. and Bob Bovee & Gail Heil (a old-time band with several years experience in presenting programs at schools), at the Bluegrass in the Schools Training for Artists. Course content will include information on current IBMA tools available and a “tip sheet" of advice compiled from more than a dozen experienced bands with ideas on how to develop and present educational bluegrass programs for students. Also included in the program will be a live demonstration of a presentation for students, info on relating to students at different ages, suggestions on how to book Bluegrass in the Schools programs in local schools, ideas about how to fund school presentations and a Q&A session. The November issue of Bluegrass Now Magazine has hit the stands and WCE has made the cut. DJ Hot Picks, a regular column in the magazine, features DJ's from around the country and their picks of the month. 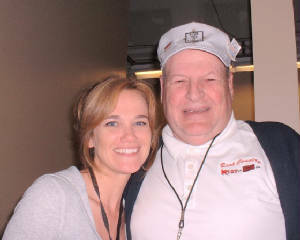 Jerry Mills of Denver Colorado chose WCE's version of "Forever Ain't That Long Anymore", from their newly released self-titled CD as 1 of 3 favorites. You can hear Jerry Mills' Rocky Mountain Bluegrass on KCKK 1600AM. Thanks, Jerry for spinning our record! Lester Flatt Bluegrass Day Draws Thousands! Sparta, Tennessee, the hometown of Lester Flatt, honored their own this year during the annual celebration with a special day of bluegrass. The event, hosted by Williams & Clark Expedition, featured local band 2nd Time Around and national acts The Ryan Holladay Band and NewFound Road. After a performance by WCE, Marty Stuart took to the stage. The event committee chose this, the 200th anniversary of White County, to turn the event into more of a street like concert by placing the stage in front of the historic Oldham Theater. The town holds a good bit of bluegrass history, being not only the hometown of Lester Flatt, but also that of Benny Martin. And, Oldham Theater was where Lester Flatt saw the premier of the classic movie "Bonnie And Clyde", which featured the Flatt & Scruggs monster hit "Foggy Mountain Breakdown". The event brought in thousands of attendees who filled the streets around the town's square. Be sure to take a look at our photo gallery to see more photos from this great day of music. And don't forget to join us next year on September 29th. Frisco Bluegrass Festival Brings Great Music To Texas! WCE participated in yet another great event during October when they performed in Frisco, a suburb of Dallas, Texas. The event was held in a stunning soccer stadium under clear skies and with great sound and staging. WCE joined fellow bluegrassers, Ricky Skaggs & Kentucky Thunder, Rhonda Vincent & The Rage, The Claire Lynch Band and newcomers Cadillac Sky for this great show. Congratulations to festival promoter, Alan Tompkins, for bringing a first-class festival to Texas! Bluegrass & Bikinis Cruise To The Bahamas! Time is drawing nigh for the Bluegrass Cruise To The Bahamas! Just a few cabins are available so please make plans now to join us, Rhonda Vincent, Nothin' Fancy and The Martin Family for one of the most exciting trips of your life. And if you are looking for that perfect Christmas gift for your sweetie...THIS IS IT!! For more information, please visit www.BluegrassCruise.com or call toll free 800-593-8803. Gene Skinner, Host of "Great Stuff" and "Great Stuff Gospel" is proud to announce another station has picked up his syndicated radio show. "Great Stuff Gospel" can now be heard on WRCY 1590AM and WYFX 106.7FM in Mt. Vernon, IN. Covering southern Indiana, northern Kentucky, and southeastern Illinois, their signals include the cities of Evansville, IN and Owensboro, KY. Gene's shows can now be heard in 14 states across the country. For more information on these fine bluegrass shows and to see if your area carries them, please visit www.GreatStuffRadio.net. Congratulations, Gene! WCE band member Wayne Southards has befriended a wonderful Christian family who desperately needs our help. Pictured left is the Greg McDougal family. 3 of the 4 children in this family have been diagnosed with Cystic Fibrosis. Because of the effect this terrible disease has on them, it is imperative that this family move to a home that is not as prone to mold, dust and other allergens. Greg, who is a carpenter by trade is also a wonderfully talented musician as well. He has released a CD that he is selling in an effort to raise the funds it will take to build the special type of house his family needs. Williams & Clark Expedition would like to ask that you visit the McDougal web site at http://www.ahouseformykids.com/ and consider purchasing this CD. Not only will you be helping this family, but the McDougals are donating a portion of the proceeds to the Nashville, TN chapter of the Cystic Fibrosis for research, also. Wayne stated, "The McDougal's are dear friends of mine and Greg is a very talented singer and song writer. I know first hand the struggles they have faced and and I encourage everyone to check out his new project. you won't be disappointed. I guarantee you will love this CD if you love bluegrass. I have listened to it over and over. … You will be hearing more from The Infamous Stringdusters. The Infamous Stringdusters have ALL three elements one looks for in a promising young bluegrass band: They’re ALL great singers, they’re ALL excellent players, and they ALL write extremely well. Based in Nashville, the six unique, professionals comprising The Infamous Stringdusters are steeped in the tradition of bluegrass vocal harmony as well as the progressive edge of instrumental music.